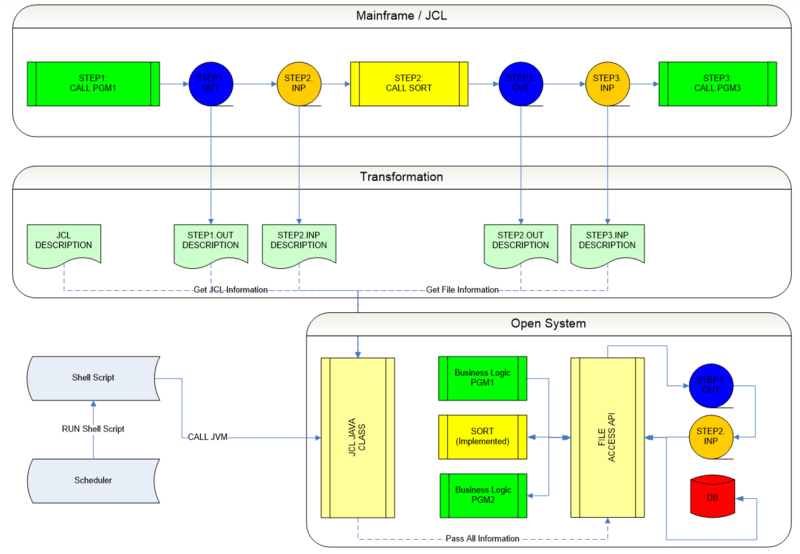 FreeSoft's LiberatorWorkbench converts Mainframe JCL to open system solutions like shell scripts, Windows scripts or platform independent Java/XML. Main features of the job control language are supported and we also provide a replacement for the some of the key utilities. The converted output can be maintained easily, the solution uses the most advanced Java and XML technology. The output scripts can be started/managed by any 3rd party Scheduling tool. Storing the JCL job information optionally in a universal format (XML) provides flexibility and portability for the batch execution, in this case FreeSoft's Java based implementation will execute the batch processes in the target environment.